The Carnegie Center for Art and History is pleased to announce our 22nd annual A Taste for Art and History…Full Steam Ahead. Please join us on Friday, September 8th beginning at 6:00 PM at the historic Calumet Club at 1614 E. Spring Street in New Albany as we raise funds for our exciting new public art initiative. 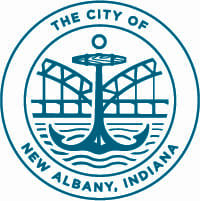 Help us transform New Albany’s Riverfront Skatepark into the New Albany Flow Park. Along with a sneak peek at the new designs by Hunger Skateparks of Bloomington… come celebrate with the Carnegie Center during a fabulous evening of world class beverages including beer, wine, cocktails and bourbon tastings. Terri Lynn’s Catering By Design will create a mouth-watering buffet of heavy hors d’oeuvres. Attire will be Upscale Resort or Cruise. Tickets are $65.00 for museum members and $75.00 for non members. This is a great time to become a member and support the fine work of the Carnegie Center for Art and History. We would like to thank our 2017 Taste for Art and History sponsors for their generous support.